The 43rd Annual Toronto International Film Festival (TIFF) just announced their Midnight Madness program for 2018, and it's enough to make horror fans swoon. 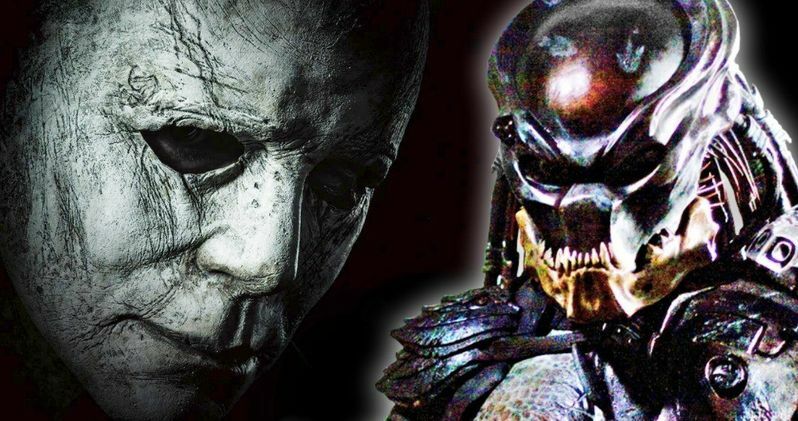 In addition to some less publicized gems, we're learning that 2 of the most hotly-anticipated genre offerings of the year will celebrate their world premieres at the event: David Gordon-Green's Halloween and Shane Black's The Predator. Both are reboots of classic properties that peaked in popularity in the 1980s and are part of a new wave of nostalgia-soaked horror ignited (at least in part) by the launch of the mega hit series Stranger Things on Netflix in 2016. "This year's Midnight Madness slate promises another idiosyncratic confluence of established and emerging genre filmmakers. To complement some of the buzziest provocations on the festival circuit, I have sought to curate an eccentric array of World Premieres that demonstrate the dexterity of genre cinema as a canvas for both sublime satisfaction and stunning subversion. That includes the section's two much-anticipated sequels, The Predator and Halloween, each of which boldly and brilliantly builds upon its mythic iconography to thrilling and surprising effect." Other notable films horror and sci-fi fans will want to investigate at TIFF include Assassination Nation (a modern reimagining of the Salem witch trials), Climax by "extreme" French director Gaspar Noé (Irreversible, Into the Void), the futuristic sports-themed thriller Diamantino, the high fashion-themed "In Fabric", a "Bollywood-infused" action thriller out of India called The Man Who Feels No Pain, the techno-horror/sci-fi Nekrotronic, the militia shocker The Standoff at Sparrow Creek, and the frontier/western-tinged creeper The Wind (among others). TIFF 2018 kicks off on September 6th and runs through the 16th. News of this year's Midnight Madness slate was first published on the official TIFF website.